At the start of the film, we see a commercial for "Hands Across America" on an old CRT flanked by several VHS tapes. 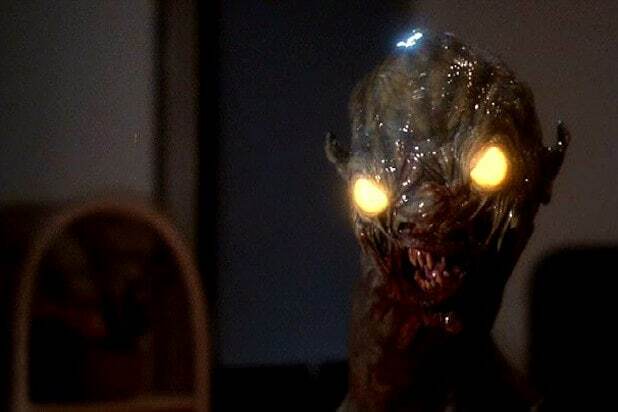 One of the tapes is for the movie "C.H.U.D.," which stands for Cannibalistic Humanoid Underground Dwellers. While the Tethered aren't seen eating the bodies of those they kill, the parallel to monsters that live in the sewers turns out to be very appropriate. The CRT intro is also used by another recently released horror film, "Climax," which premiered in Cannes last year and is in theaters now. The film tells the story of a dance troupe whose worst side is unleashed when they unknowingly drink LSD-laced sangria at a party. Like "Us," "Climax" and director Gaspar Noe explores the destructive, animalistic side that lurks within every human being. The boardwalk where the film's flashback prologue takes place is the same one used by Joel Schumacher in "The Lost Boys," a tale about two brothers who travel to California and end up having to fight a gang of young vampires. That cult film was released in 1987, one year after the flashback occurs in "Us." One of the more obvious nods is the "Jaws" shirt that Jason wears to the beach, but the reference goes deeper than that. In Spielberg's classic film, Roy Scheider's Chief Brody nervously scanns the shores, looking for the deadly shark, as people play in the water. In a similar way, the beach in "Us" becomes the first sign of incoming danger. George A. Romero's "Night of the Living Dead" was one of the most influential and game-changing – and violent – horror films of all time when it came out in 1968. Like the undead in Romero's film, Peele introduces the Tethered in a shot of the Wilsons' driveway, distant but foreboding. "Living Dead" also popularized the trope of protagonists learning through newscasts that the horror they're facing is spreading nationwide, something that happens in a key scene in "Us." 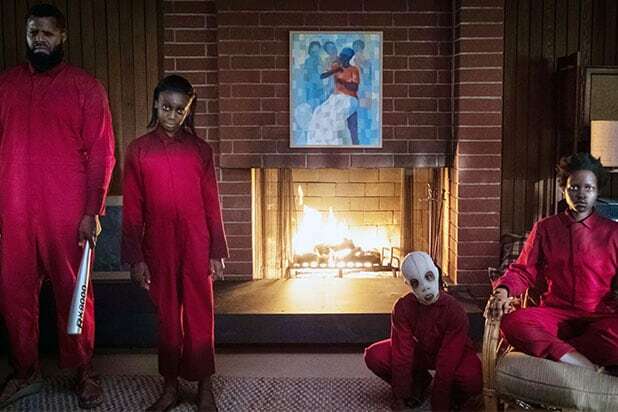 "The Shining" also may be a possible inspiration for the film, as the Tylers' twin daughters and their Tethered stand together at one point in a similar manner to the creepy twin girls standing in the hallway of the Overlook Hotel. The rictus grins that the Tethered sport are also similar to the one Jack Nicholson shows off as he loses his grip on sanity. And at a press junket, Peele even wore the same outfit that Nicholson wore in the film. When the Wilsons enter the Tylers' house and get ready to take on the Tethered that just killed their friends, Zorah grabs a golf club as a weapon. That golf club is a reference to Michael Haneke's polarizing "Funny Games," an anti-horror film of sorts in which two serial killers take over a family's home and, at one point, brutalize them with a golf club. When it comes time for Adelaide and Red's final pas de deux showdown, Adelaide is seen ballet dancing under a spotlight. The surreal, otherworldly cinematography and abrupt cuts between the dance and the fight seem to be a nod to Darren Aronofsky's style in "Black Swan." The dream-like sequence also may be inspired by Dario Argento's giallo classic "Suspiria," which was remade last year by Luca Guadagnino. 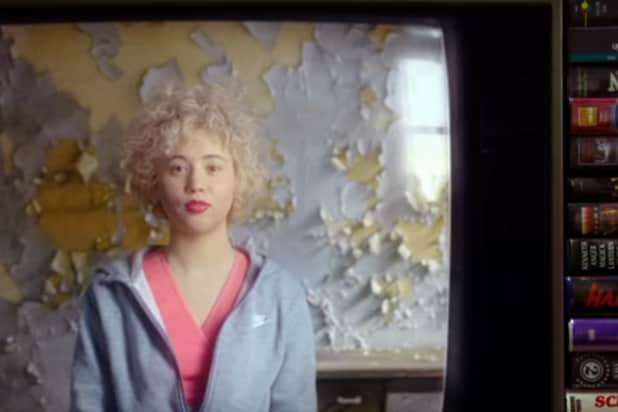 Michael Jackson's "Thriller" is clearly referenced in the shirt a young Adelaide wears, but MJ is also referenced by the single glove worn by all of the Tethered. Peele also told Mashable that Jackson's legacy as an inspirational figure and a manipulative abuser also made him a perfect match for the theme of duality in "Us." Finally, though it's TV rather than film, Peele has said that the main inspiration for "Us" was the "Twilight Zone" episode "Mirror Image," about a woman who realizes that an evil copy of herself has taken over her life. It's a fitting nod, considering that Peele will host CBS' revival of "The Twilight Zone" coming next month.